Safety Covers-Top it off right! Aqua Pools Online > About > Blog > Safety Covers-Top it off right! Unfortunately, pool tragedies happen far too often. Having a high-quality safety cover can go a long way in keeping your family and pets safe. Not every cover is designed for safety. Fortunately, a quality safety cover will not only keep your kids and pets from accidentally falling into the pool when it is not in use but will keep unwanted debris and curious critters out of your pool. Safety should be the main concern when it comes to your pool cover. You will want to be sure that your cover is made with high-quality materials that will hold strong when put to the test. One of the first places that safety can be compromised in a cover is at the seams. All the seams on Latham safety covers are interlocked and double overlapped to provide the strongest seam possible. Another area you could find problems with your cover is with its hardware. Latham offers covers with coil springs and D-rings that are designed for easy installation and adjustment. They also have a low profile to help your cover lay flat and fit tight for maximum safety. Whether you choose a mesh or solid safety cover, you will want to make sure that the material is durable and will hold strong if someone or something falls on the cover. A mesh cover will offer maximum drainage, while a solid cover can block up to 100% of sunlight to help prevent algae growth. Either material can be safe and effective for protecting your pool. 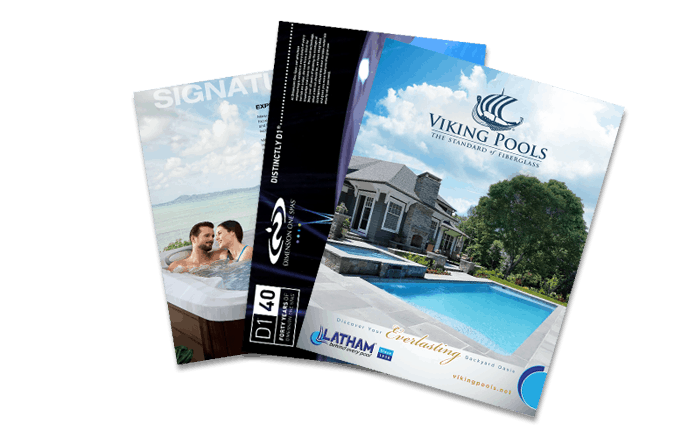 Deck mounts themselves aren’t directly related to safety, but Latham brands have a reduced deck mount system that makes it easy to install around pool features like raised walls, fountains, added spas and deck features. So, your pool can be safely covered no matter what design challenge your pool has. Now that you know what features to look for in a safety cover, we can save you time in your search by letting you know that at Aqua Pools we carry Latham brand safety covers that not only meet, but exceed all of the qualifications for a top notch safety cover. Stop by and let us help you design a safety cover to perfectly cover your unique pool.